CONDIZIONI DI VENDITA. Acquistando l'oggetto, dichiarate di aver letto, compreso ed accettato le seguenti condizioni Per qualunque informazione o dubbio contattateci prima di acquistare.Una volta acquistato, sottoscriverete queste condizioni. 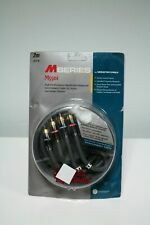 Couple of Monster Cable M Series M1000 MKIII WBT RCA - 80cm (incl. rca) approx. This ensures that the signal is kept clean with low noise interference and is maintained down a low resistance path (ideal for longer lengths). Conductor Material - Bare silver plated ultra pure oxygen free copper wire Stranding 3 x 0.20mm. 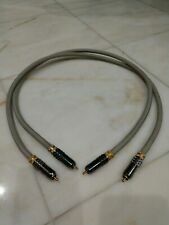 Monster Cable SILVER MC400 I2. 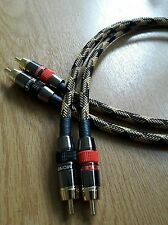 High grade shielded audiophile rca audio cable. We speak 4 languages. 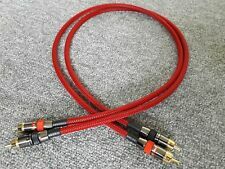 MONSTER VAN DAMME PURE SILVER PLATED OFC RCA CABLE 1.5m PAIR BRAND NEW. 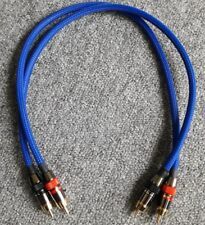 Great cables for the money. 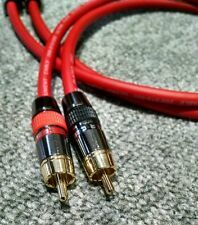 Type: Optical Audio Cable. Item Details Data & Sizing Other Information. Everything included in the sale is photographed. Anything not photographed is not included. 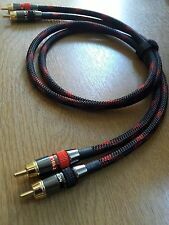 MONSTER Silver Ultra High Performance Stereo Audio Cable - 1.5 m (RRP £59.99). Stereo audio connections transfer two channels of analogue audio for amplified playback on a pair of left and right channel loudspeakers. 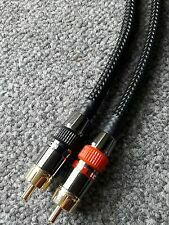 █| MONSTER CABLE high resolution digital RCA cable 2x 10 METRI!!! NUOVO! OVP! 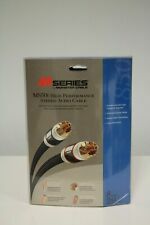 MONSTER Silver Ultra High Performance Stereo Audio Cable - 3 m (RRP £79.99). Stereo audio connections transfer two channels of analogue audio for amplified playback on a pair of left and right channel loudspeakers. Stereo audio connections transfer two channels of analogue audio for amplified playback on a pair of left and right channel loudspeakers. 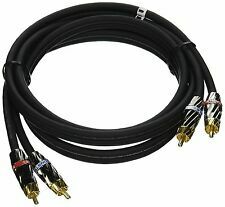 Analogue audio signals are more susceptible to outside electromagnetic and radio frequency interference than digital audio cables. 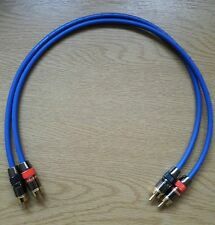 █| MONSTER CABLE High Resolution RCA Digital Cable 2x 10!!!!!!!! METER NEU! OVP!